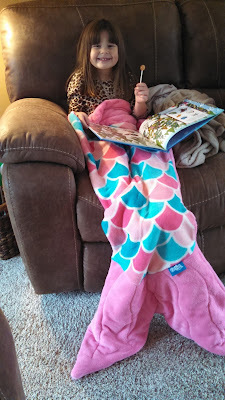 My girls both love mermaids and they were really excited to receive these adorable mermaid tails from http://www.finfunmermaid.com/ These are the softest blankets and perfect for cuddling with. The cuddle tails mermaid blankets come inside of a really nice carrying case (perfect for sleepovers!). 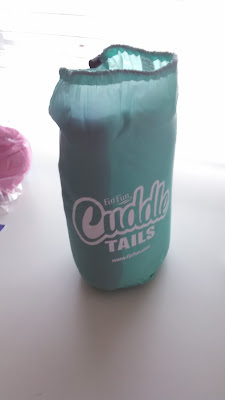 The cuddle tails mermaid blankets are available online and prices start at $29 for a toddler sized mermaid blanket. These super soft mermad tail blankets make the perfect holiday gift for any little girl. 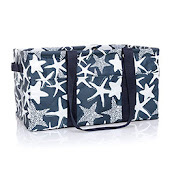 They also are the perfect birthday present for any mermaid lover! 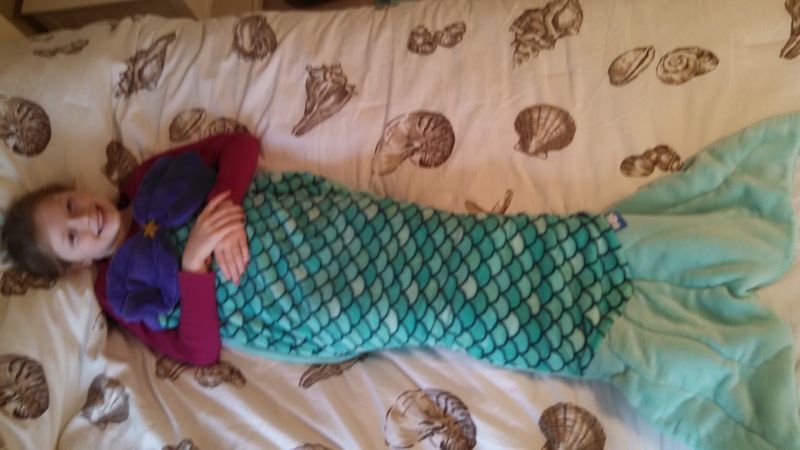 Fin Fun Mermaid also has a ton of other mermaid goodies such as swim wear, mermaid tails for the water and even bundle sets--perfect for the holidays! 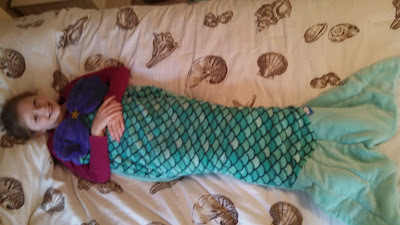 This is just one of many Mermaidian bundle sets available on their website www.finfunmermaid.com This bundle includes an adorable mermaid bikini, mermaid tail, monofin, backpack and seal stuffed animal!